CHICAGO — Allie Quigley scored 15 of her 22 points in the fourth quarter to help the Chicago Sky beat the New York Liberty 80-76 on Sunday night. Quigley made 2-of-3 free throws and Diamond DeShields hit a 3-pointer to spark an 8-2 spurt that made it 68-64 with six minutes to play and Chicago (2-0) led the rest of the way. New York (0-1) trimmed its deficit to one point on four occasions, the last of which came when Tina Charles' jumper made it 74-73 with three minutes to go. Quigley answered with two free throws before Cheyenne Parker's offensive rebound and putbuck pushed the lead back to five. 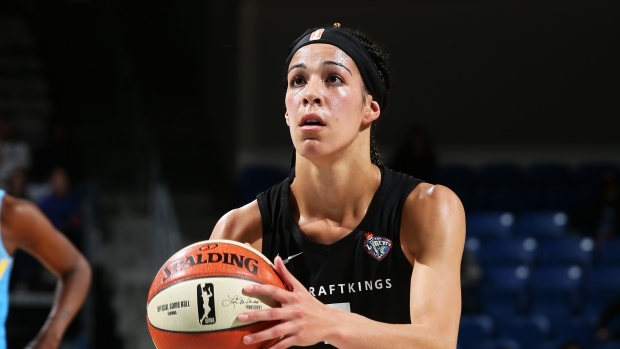 Liberty's Kia Nurse of Hamilton, Ont., scored 17 points in her WNBA debut. The UConn product was selected 10th overall by New York in last month's draft. Charles led New York with 19 points and Amanda Zahui B scored 15. Jamierra Faulkner had 14 points, five rebounds and five assists. Gabby Williams, the No. 4 overall pick in the 2018 draft, scored 12 points on 5-of-7 shooting for Chicago.